A fresh new year is here, bringing with it the opportunity for new beginnings. It’s a great time to commit to making changes that improve your life. Whether it’s by losing weight, increasing your physical activity, or living more mindfully. While it’s easy to think of ways to improve, it’s much harder to implement these great new ideas. 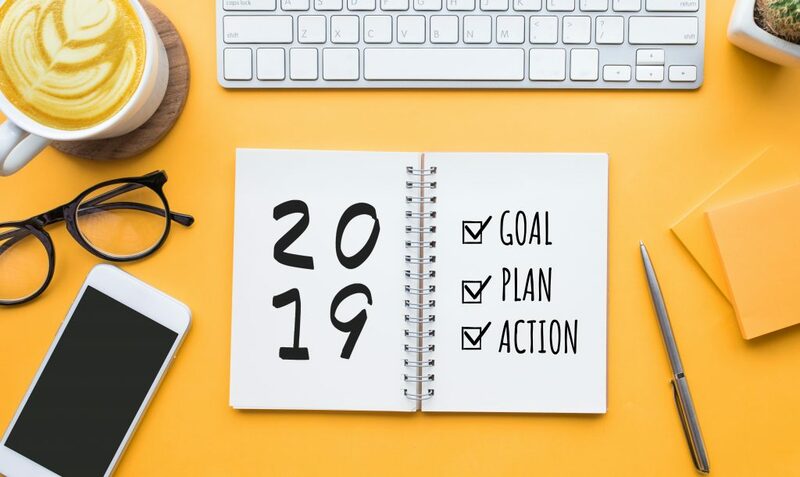 Here are some tips to keep you motivated and focused through 2019. First, make a plan. Your plan should include one long-term goal and several short-term goals that will help you reach your long-term goal. Your goals should be as specific as possible, measurable, and realistic. For Example, if your goal is to lose weight then your plan might include a short-term goal of working out 2-3 times a week at a specific time. While your long-term plan might be to use these workouts as training to prepare to participate in sport or event. Get support. There’s nothing better than having like-minded people around you to cheer you on as you work toward your goal. Say you decide to start a meditation practice in 2019. Find a group that meets regularly to meditate. Having support will keep you motivated on those days when you’re tempted to give up. Having someone to share your struggles and successes with, makes your journey that much easier and less intimidating. Reward yourself! If you’re making progress toward your goals, give yourself a pat on the back. When you reach those short-term goals give yourself a self-care treat. Maybe it’s a massage or maybe it’s freeing up an hour from a hectic schedule to spend on your favourite hobby. You deserve it–and it will keep you motivated. Get rid of your inner-critic. No mental bullying, please. It won’t help you reach your goals and in fact, could sabotage your chances for success. If you’re trying something new like running or spinning, don’t give yourself a hard time if you can’t go as hard or as fast as others. 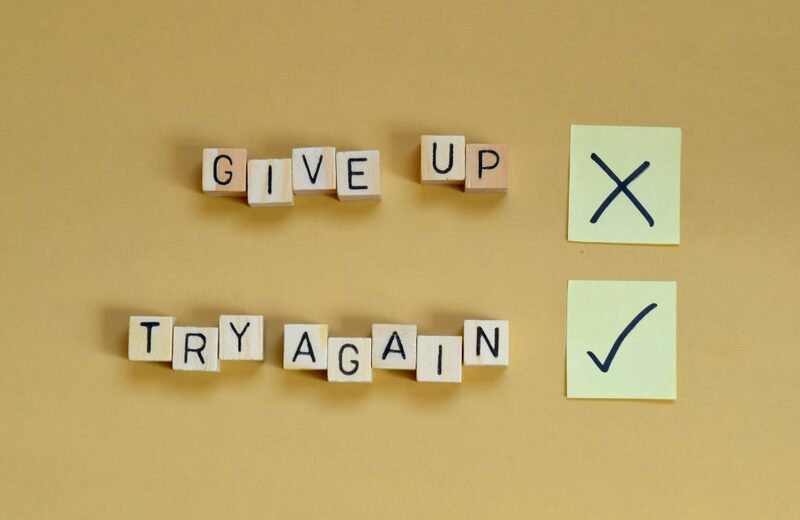 You are trying something new and that isn’t easy for anyone. Remember you deserve self-compassion too! Don’t go to extremes. Watch out for “all or nothing thinking”. An example would be to categorize your efforts into terms of either success or failure. You are in this for the long haul, so if you fail to meet a short-term goal – don’t give up. Stick to your plan and remind yourself of all of the positive things that you’ve accomplished so far. Regardless of your Resolutions…. Setbacks are to be expected. These are also one of the most common reasons why people give up on their New Year’s Resolutions. If you suddenly relapse into a bad habit, don’t fall back into “all or nothing thinking” and view it as a failure. The path toward your goals will not be a straight one as there will always be bumps along the way. Instead, view your setbacks as a learning opportunity and try to identify what might have triggered it. By understanding the challenges you face, you will be better prepared to deal with them in the future. Venus Fitness and Lifestyle is a health and wellness company based out of Richmond, B.C. that offers Personal Training, Group Fitness, and Corporate Fitness services throughout the community. In addition to health and wellness services, Venus Fitness is also a 2018 #WMTop30 blog, focused around balancing Fitness, Family, and Fun. Venus Fitness’s mission is to encourage and support a healthy balanced lifestyle. Fitness is the seed from which a healthy lifestyle grows. However without dedication, hard work, perseverance, and healthy choices both nutritionally, mentally and socially this can be hard to maintain… that is where Family and Fun come in. Shannon Sawicki founded the company in 2007 with the support of The Great Little Box Company’s very own CEO, and award-winning entrepreneur, Robert Meggy. Shannon has been able to grow her services and digital offerings creating an impressive health and lifestyle platform. 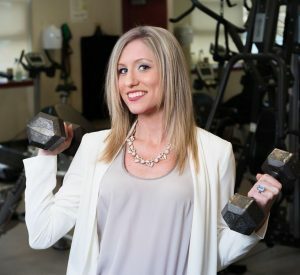 Shannon’s commitment and enthusiasm to healthy living, coupled with her devotion to family is what drives Venus Fitness making her a hardworking fitness leader, inspiring health and lifestyle advocate and the GLBC resident fitness guru.